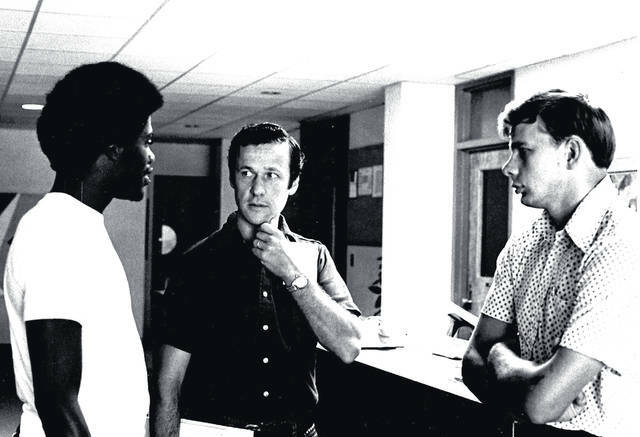 Bill Kincaid, middle, chats with two students, Heinz Finkes, Class of ’74, right, and an unidentified student in this 1974 photo. 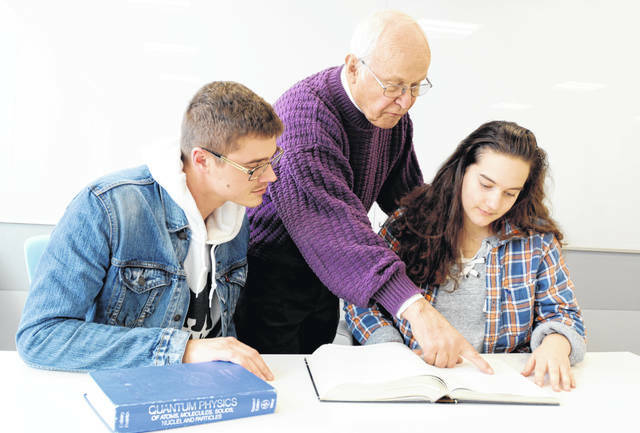 Bill Kincaid goes over a math concept with seniors Thomas “T.J.” Burbage and Kayla Marrero in December. They are among the many “outstanding students I’ve gotten to know — and we’ve gotten to be very close,” the professor said. WILMINGTON — Dr. William “Bill” Kincaid recalls a half century ago landing an interview at Wilmington College, which was searching for a faculty member to teach mathematics to future teachers. WC was the first of three interviews he lined up as he ventured north from Oklahoma.